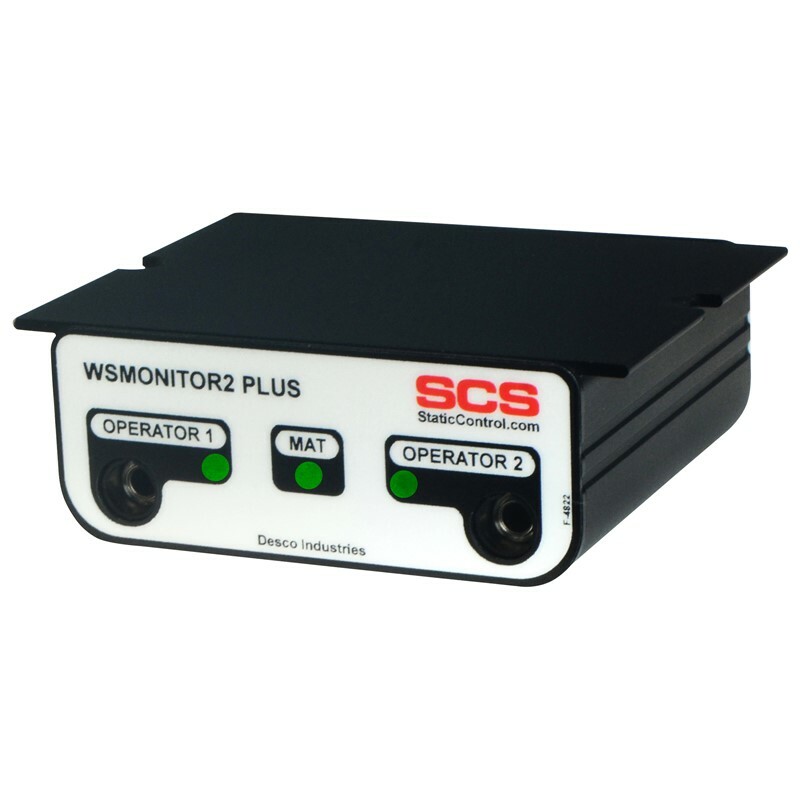 Continuously monitors the path-to-ground integrity of two operators and one conductive or dissipative worksurface; meets ANSI/ESD S20.20 in accordance with ESD TR1.0-01-01. Shields the monitor from noise emitted by fluorescent lighting and includes mounting tabs for installation underneath table tops. Allows the mat monitor circuit to be disabled when not in-use. 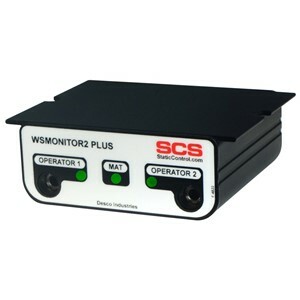 See SCS Single-Wire Wrist Straps.